Killer Kate! - Available as a download or stream? 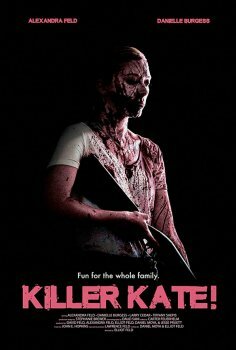 Elliot Feld’s directorial debut, “Killer Kate”, is about a bachelorette party which turns into a violent life-or-death war. Starring Alexandra Feld, Danielle Burgess, Amaris Davidson, Abby Eiland, Tiffany Shepis, Grant Lyon, Robert Donavan, and Preston Flagg.